Reflecting on professional goals that he has set, Dr. Paget says he always wanted to be part of an academic institution and in a leadership position. In order to achieve this, he needed to take a certain path, which meant applying himself early on to excel as a medical student, resident and fellow wherever possible; becoming involved in research; joining both hospital and national committees to optimize his network; taking courses that would enhance his abilities and make him more professionally attractive; and seeking out the guidance of trusted mentors who could help him choose and attain a goal. Is Improving Your Career One of Your Resolutions? Dr. Paget is pleased to report that he has achieved all of his career goals to date, beginning with graduating as the valedictorian of his medical school class and training in internal medicine at Johns Hopkins Hospital in Baltimore. 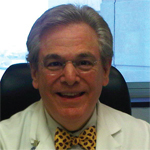 He has been a clinical associate at the National Institutes of Health’s National Institute of Arthritis and Musculoskeletal and Skin Diseases in Bethesda, Md., served as a fellow at HSS, participated in clinical research, published nearly 100 articles, became a training program director and eventually chair of the department and, more recently, directed an academy of medical educators. “I was recently a graduate student at Columbia University’s Mailman School of Public Health [in New York] with the goal of attaining a Master’s of Public Health degree because I felt that the next phase of my career, at age 70, demanded more intensive knowledge about clinical investigation and public health,” Dr. Paget says. Dr. Paget has achieved his goals because he was willing to put in the time, energy and commitment to accomplish them. How can you determine if your goals are realistic? In any area of your life, look at what you’ve done in the past and how you can improve, Ms. Wright recommends. If you’re doing something for the first time, you can use past practices to set a goal, or you can make finishing a task a goal. Be realistic when you’re setting goals, and keep in mind that you’re probably capable of more than you think.